The NSW Government has changed the law to allow teenagers up to 16 years of age to ride bicycles on footpaths, previously the age was limited to 12. The Amy Gillett Foundation welcomes this change as another positive step but remains acutely aware there are many other steps still required to make cycling safer for all cyclists. Next steps include the installation of more dedicated, separated and protected cycling lanes on major transport corridors to encourage more people out of their cars onto these paths, making commuting safer for all participants. 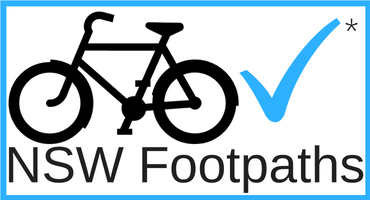 This move by NSW, leaves Victoria as the only state to legally prevent anyone older than 12 to ride on their footpaths. Maybe the Victorian Government could legislate to allow everyone (regardless of their age) to cycle on their footpaths AND for a metre matters at the same time?